–What is IT? It is “Zachness”!! Today, during our new, regular segment “Roadworx”, we get a report from IRM member Zach “Too Nice For Rice” Zabala as he makes final preparations for an Amazing Adventure. He is at a family place, about to leave out with his faithful companion Hank for a life lived on the road, living as a Freeman…the way we ALL should live. He shares his time spent in his aunt’s special place, her garden that she created, filled with signs and love. He tells us she had a great part in the forming of his “Zachness”. 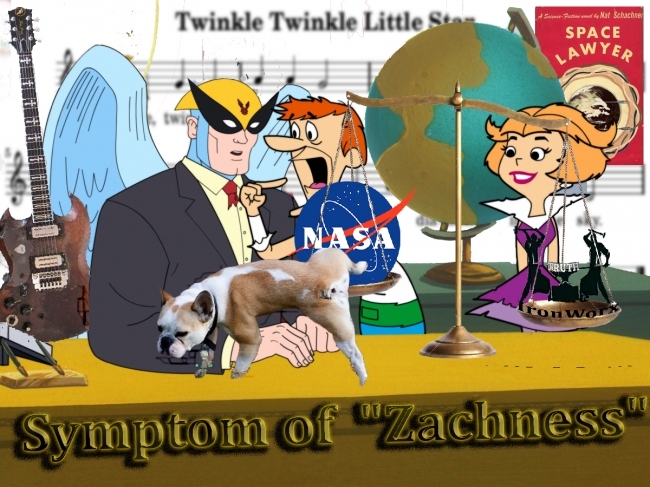 –Zachness is the ability to live life YOUR way, unhindered by concerns of what others might think…ahh, THERE it is, that old THINKING bugaboo again! Whether helping others see the ways of nature, showing astounding alchemical revelations, getting Tesla zapped, or just sharing his amazing life, Zach has been a true inspiration for us since we met him. –What is the GREATEST guitar riff EVER?? The answer might surprise you…it shocked us! Walt shares some of his fave riffs…hold on to your hat! –Can habitable planets ORBIT a black hole?? How MANY?? What do YOU thinK?? –Ever thought about being a lawyer…in SPACE?? –“Hank, don’t pee on the baby tree!” Fave. Line. EVER.